The original story has it that many years ago, there was a beautiful Calico cat named Cali - she was her owner's pride & joy... thus the name Cali Craft & the original pawprint logo! She sadly passed away and the "new" rulers' of the roost were thereafter KitKat (the "I am not fat, I am fluffy" one) and Phoebe (the cause of much chaos in the office and notorious jewel thief - sadly Phoebe passed away in 2015). Cali Craft initially started off as a part-time hobby "craft shop" with a limited range of beads. This selection grew tremendously over the years, and eventually included a large variety of beads plus gemstones too thus the "& Gems" being added to the name. Another addition saw the inclusion of good quality and affordable genuine jewellery. Within the first year of trading, the owner was given a raw crystal point by a relative and let's just say the rest was history! Almost immediately the owner dragged her hubby along on their first rock hunting shopping spree and loved every minute of it... they had found their true calling. Cali Craft & Gems was established in 2003/2004 trading at markets and specialist events. CCG became a full-time hobby from September 2006 and started trading online in April 2007! The online business grew from strength to strength and since 2009, had been recognised regularly as one of the Top Sellers' on BidorBuy. After several years, the owner persuaded her husband to resign from his management position and they packed up lock, stock and barrel and relocated to Oudtshoorn at the end of 2011 - up until recently, it had been the best decision they had ever made! They had the opportunity to expand the business by opening a physical store in and grabbed the chance with both hands - loving the interaction with the locals and tourists alike, and have received many compliments about the store and their honesty / integrity. 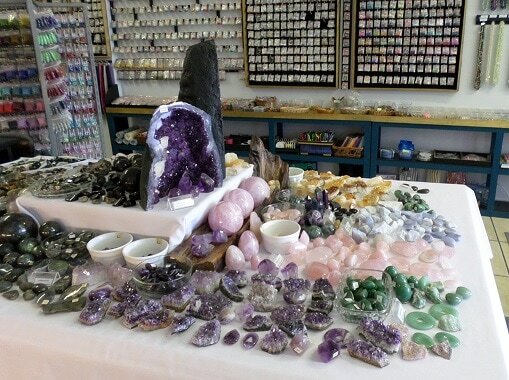 Since inception, the main purpose of Cali Craft & Gems is to be a supplier of semi-precious gemstones, crystals and minerals to the holistic, esoteric, and Wiccan communities, as well as to several other individuals who simply have an attraction to these beautiful items. The owner also had to opportunity to brand the jewellery she made herself thus the name Karoo Jewel being incorporated into the store, but this did not bode too well with some very jealous individuals in town, and as a result, she has reluctantly distanced herself from the name (although still manufactures jewellery). Due to trading online, the business' customer base has expanded to beyond South African borders - all over South Africa, Namibia and Botswana, plus worldwide - regular customers in Brazil, Spain, Japan, Australia, UK, New Zealand, USA, Russia, Ireland, etc! The online services are permanently available through the website for those customers who prefer to avoid the hustle and bustle of the shops - it is so much easier to buy online plus you can be located anywhere around the world! You order, complete the payment, and the parcel is then sent to you via the postal services or courier - your choice! What a pleasure to avoid crowds, traffic and other nuisances! 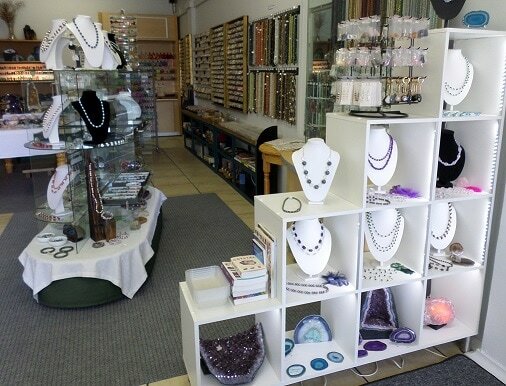 Cali Craft & Gems (under Laser Ways SA) are here to ensure you have a great shopping experience and find that "special something" that your heart desires... if we don't have it, we'll try and get it for you! Dedicated to customer satisfaction (where possible).